We’re only a few days away from the official start of the year’s first major trade show dedicated to the consumer electronics industry, and although CES is rarely as exciting as February’s MWC for mobile tech lovers, companies like Sony and LG could have interesting Las Vegas announcements planned for next week. As far as Samsung is concerned, we know something will be unveiled at a Mandalay Bay South Convention Center press conference on Monday, January 7 at 2 pm PST, but there’s no reason to expect anything big. 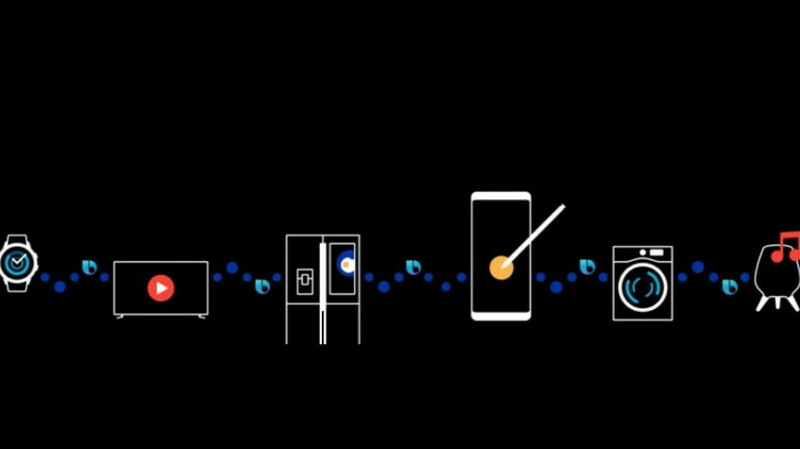 That sure sounds vague and, to be completely honest, quite boring, suggesting we’ll get to see more Bixby-powered refrigerators, washing machines, TVs, and other intelligent home appliances. There’s nothing wrong with that, of course, but if Samsung plans to leave all smartphone releases for later in the year, a large chunk of its audience is likely to ignore this event altogether. The drawing at the top of the company’s latest press release does suggest there’s still a small chance a smartphone will be unveiled in Vegas on January 7, along with a wearable device and a smart speaker. Because the Galaxy Home is already official, we may finally get a release date at the Consumer Electronics Show. Or perhaps that smaller, cheaper variant is also on the schedule. If you’re curious to find out first-hand what “exciting announcements” are in Samsung’s pipeline, be sure to tune in to the event’s official livestream on YouTube, Facebook, or the company’s Newsroom portal.